This little guy couldn't wait to join his family, and was born a month early! Since he was in the hospital the first few weeks of his life, we waiting until he was a month old to do his session. 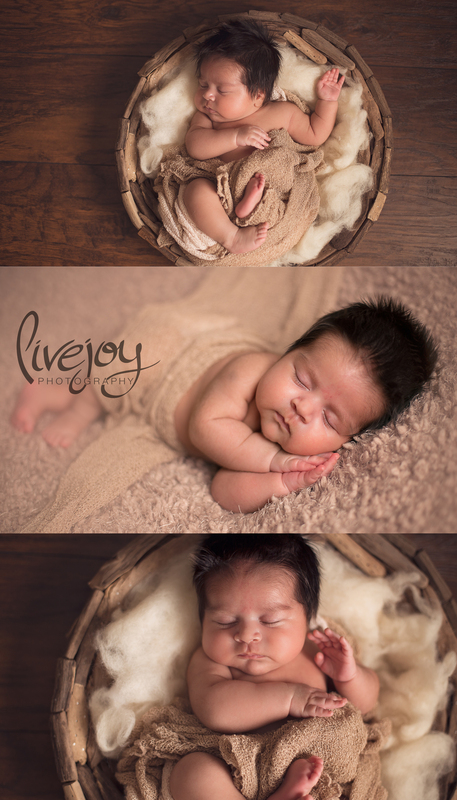 Even thought he was older and VERY awake for 90% of his session, and less flexible then a newborn, we still got some precious photos of him! And... can we just talk about his HAIR!!!! OH my goodness! I think he had the most hair of any newborn I've ever had! And mom said he had the least of her other kids :) Absolutely precious!